Nigerian Afro beats singer Wizkid recently modeled the super eagles official football kit for the 2018 world cup in Russia. Trust lovers of the starboy to always recreate his appearances. Well, a fan did recreate this one and it’s so hilarious. 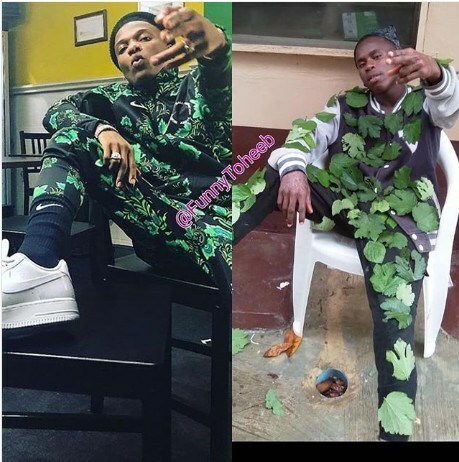 0 Response to "Hilarious Photo: Fan Replicates Wizkid Super Eagles Jersey Swag"